SpaRitual’s newly released Step Up nail lacquer honors its partnership with Step Up Women’s Network, a nationally recognized organization dedicated to inspiring women and girls to fulfill their potential. SpaRitual’s newly released Step Up nail lacquer honors its partnership with Step Up Women’s Network, a nationally recognized organization dedicated to inspiring women and girls to fulfill their potential. Through this partnership, SpaRitual and Step Up Women’s Network will work together to empower women and promote a better future for young girls. 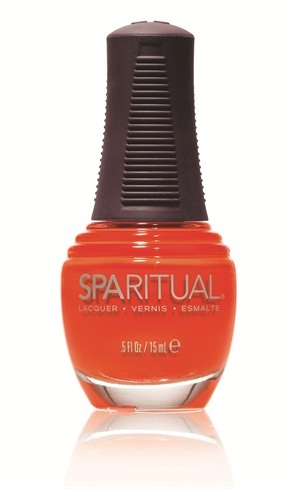 SpaRitual will donate 20% of proceeds from the profits of the Step Up lacquer — a bold red-orange — to the non-profit organization. For more information on SpaRitual, go to www.sparitual.com. For more information on Step Up Women’s Network, go to www.suwn.org.